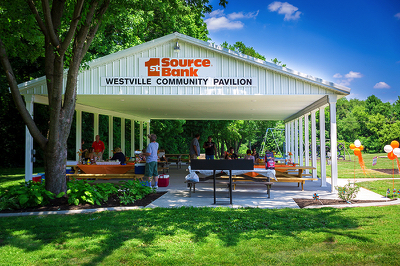 On behalf of the Westville Town Council, I would like to thank 1st Source Bank for their continuing support of the community pavilion and playground project at Prairie Meadow Park. 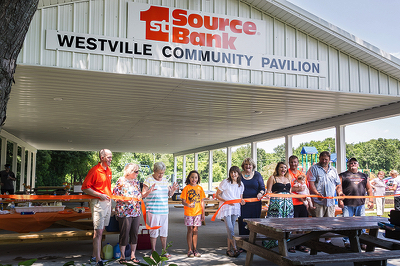 Not only did the 1st Source Foundation donate $18,784 toward construction of a new handicapped accessible pavilion, but several bank employees volunteered their time to host a Doughnuts for Donations fundraiser at the Westville Pumpkin Festival on Saturday. 1st Source Bank Westville branch manager Sarah Hodum, customer service representative Tammy Goodwin, and Regional President Matt Vessely served doughnuts and apples, provided by Garwood Orchards, to kick off a fundraising campaign for electricity and lighting in the pavilion, and new playground equipment in the park. Thanks to their efforts and the members of the community who donated, $145 was raised to get the fund drive started. Anyone wishing to contribute can visit 1st Source Bank in Westville, or send a check payable to the Town of Westville—Prairie Meadow Park Fund to 1st Source Bank, P.O. Box 351, Westville, IN, 46391, through Dec. 31. 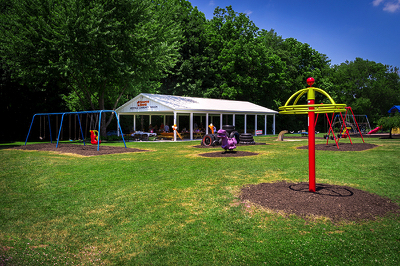 Donations will help complete the pavilion and playground that will serve as a gathering place for the community, with a safe area for children to play. 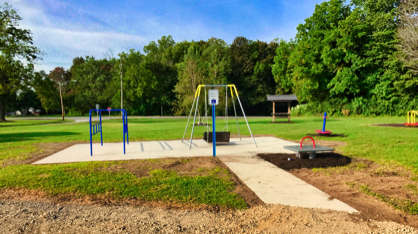 New handicap playground equipment has been installed at Prairie Meadow Park. 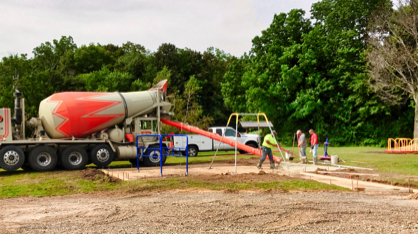 Tazco graciously donated the concrete and Union Mills Concrete donated the labor. Westville Correctional Facility also donated funds to help purchase this equipment. We would like to thank all of those who helped with this project!